There are lots of ways that you can help. Come be a part of the team! We are currently seeking volunteers who can help in the Visitor Center on Saturday mornings or afternoons. We are looking for a few extra folks so that we can have an alternating or rotating schedule that supports plenty of flexibility for our volunteers as we understand Saturdays are a popular time for many other activities. Morning shifts are 9am - 12:30pm, and afternoon shifts are 12:30pm - 4pm. 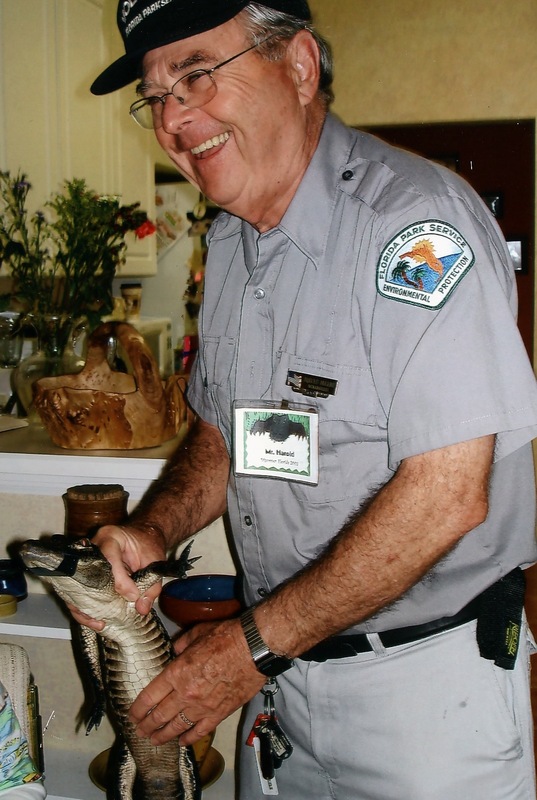 The visitor center is open year-round and supported entirely by park volunteers. All proceeds from sales in the Visitor Center directly support Paynes Prairie. Please contact Ashley to learn more. Volunteer 4 hours per week, on Fridays, Saturdays, or Sundays. The park is also assembling a resource management team for seasonal maintenance along the Gainesville-Hawthorne Trail and selected trails, and fence repair and removal. Additional positions include grant writer/coordinator, fundraiser, and event coordinator. Please contact Ashley Crawford to learn more about these positions.